After a busy holiday season filled with Vigetreats and fun it was already time for another TTT. It proved to be yet another successful quarter as Andy shared the financials and we all talked about what makes Viget a great place, but more importantly, how to make it even better. 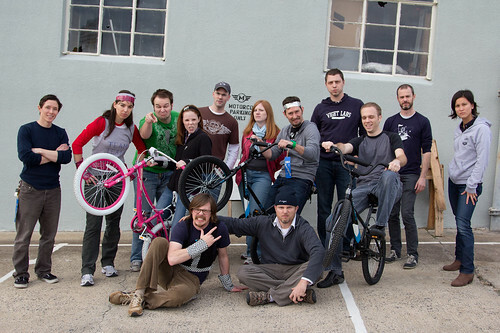 After all the business talk was out of the way each office took the rest of the afternoon to do some seriously awesome things. 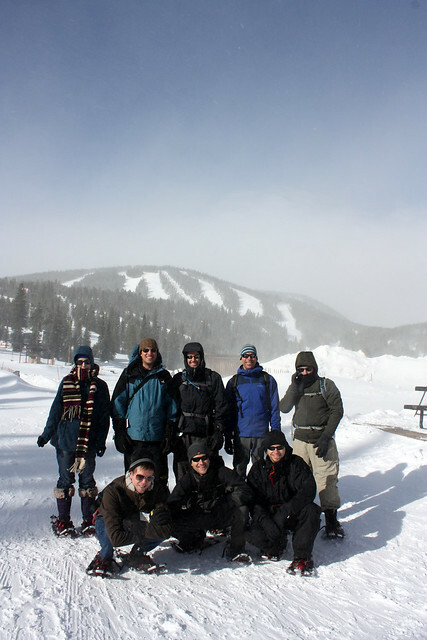 We've only had snow at one of our offices this year so the Boulder team took advantage of it and went snowshoeing at Eldora Mountain Resort. 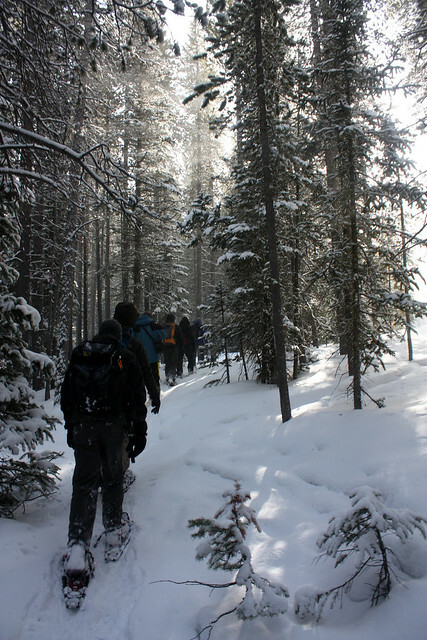 They bundled up for the 30 degree weather and 20-40mph winds, and trekked the 2 mile trail called Lakes Loop. They stopped a few times along the way to play in the snow. 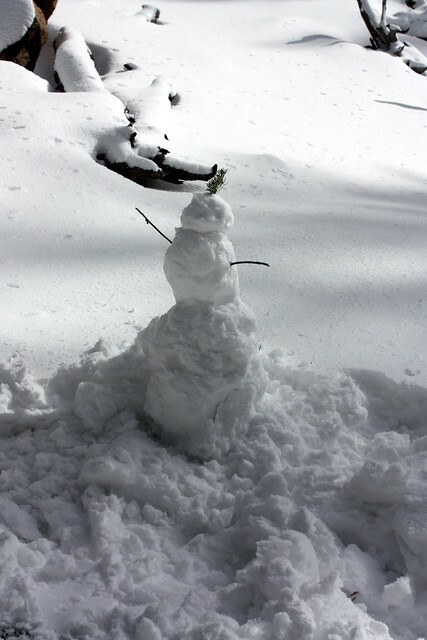 They built a snowkid and at times, acted like kids. 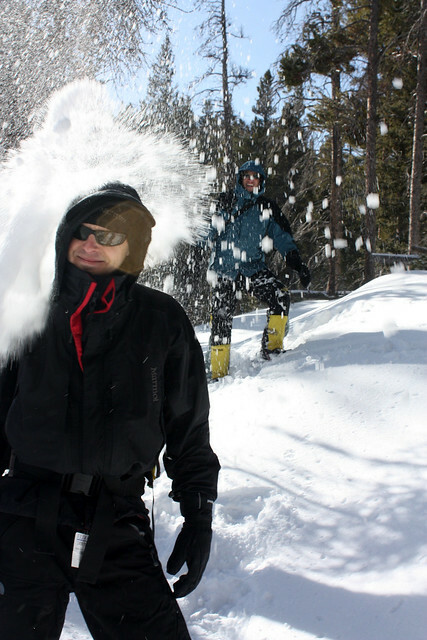 Overall, the new Colorado transplants did an awesome job of braving the weather and altitude. 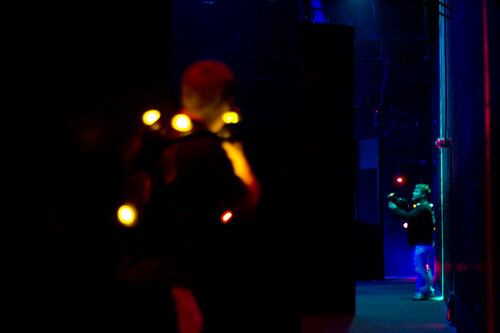 It's no secret that we love to play paintball at Viget so we knew that laser tag would be no different. 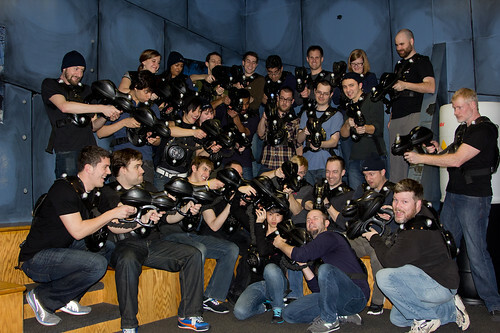 Falls Church ventured out to Shadowland Adventures in Chantilly, VA for an afternoon of laser-filled fun. 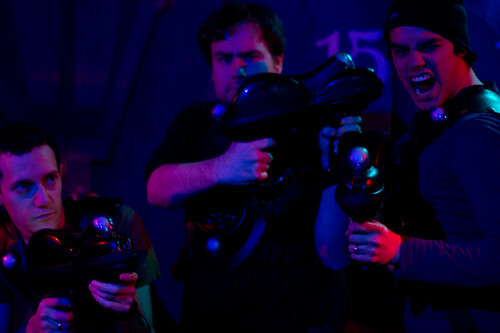 They were briefed, suited up, and got their game faces on. They ran around aimlessly shooting each other played 4 rounds, each with different rules, but with one common goal - shoot as many people as possible and not get hit. They play with absolutely no mercy. 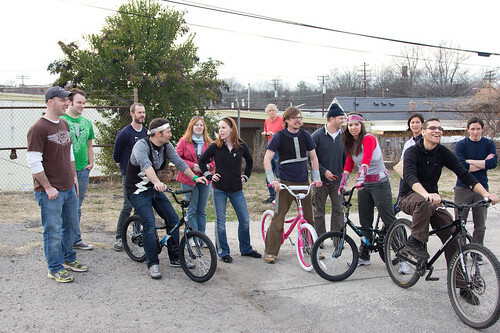 Durham's event was just 0.4 miles down the road from the office at Seven Stars Cycle bicycle shop. After the quarterly meeting and a quick game of Pong, they skipped hand-in-hand down Rigsbee Avenue in one big Vige-Parade. 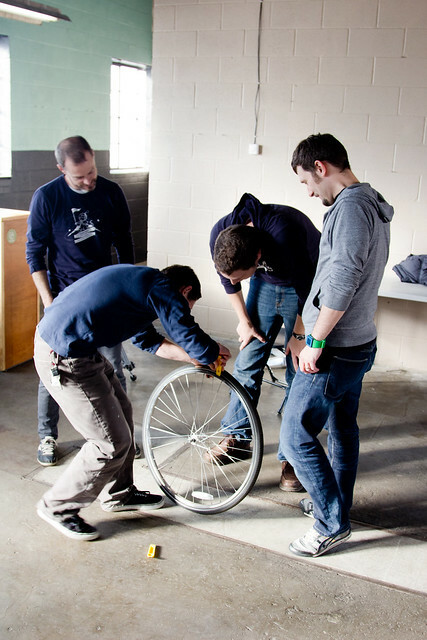 After a thorough lesson of changing a flat tire and basic bike anatomy, the team got to try their hands at changing their own flat tires. 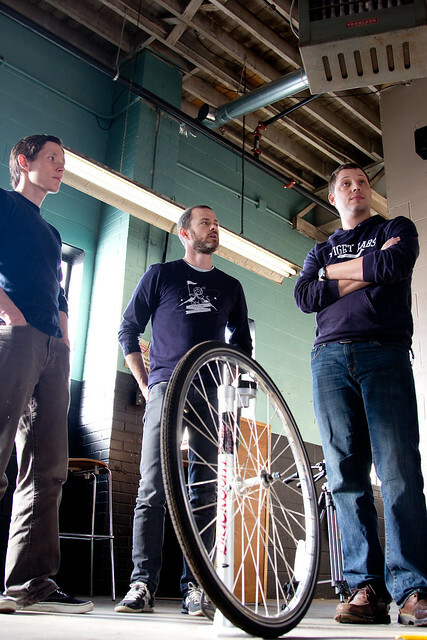 Then, teams of four were challenged to build a kid's bike from scratch with virtually no directions and guidance. Each team elected 2 contestants for a relay race on the obstacle course, which consisted of a wheelie over a 2x4, up a steep incline, and then a final slalom through cement posts. In the end, we're not sure who won. However, the real winners will be the 3 lucky families that receive these bikes through Viget's donation to Urban Ministries in downtown Durham. The day finished up with a few drinks and more pong at Motorco. Zach captured some of the best moments of Durham's event, especially the final relay race, which you can watch here.